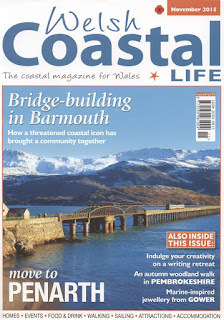 I recently received a copy of Welsh Coastal Life magazine, where I had contributed to one of the articles on writing courses. I'd attended courses at Tŷ Newydd in July of this year and August last year (amongst many other writing courses over the years, and a week-long Arvon course last month). The article was necessarily truncated, but here's the full text of what I said about the writing courses, which includes some tips on attending them. 1: Which courses did you attend at Ty Newydd, and when? In August 2014 I attended Fiction: Where to Start? run by Mavis Cheek and Francesca Rhydderch; then in July 2015 I went to Writing Women’s Popular Fiction run by Julie Cohen and Rowan Coleman. Two courses in twelve months! 2: Why did you decide to sign up? Back in August 2014 I was editing my third novel prior to publication, 2000 Tunes, and it seemed like a good opportunity for some intense creative work. Also Francesca had agreed to look over the final draft for me, so it seemed sensible to attend one of her courses and meet her face-to-face first. She was as friendly and talented as I’d hoped. At the time of the Julie and Rowan course I was starting a new project – two collections of short stories, which are a mix of existing work published elsewhere, and brand new stories. As such, the timing was ideal. This course appealed to me because I often write from a female perspective, and for a mixed audience (c.75% of my readers are women) so I thought a course on writing popular fiction for women would be a way of saying thanks to my fans. 3: Did they help with your writing, and what did you get out of them? Both were really useful. Mavis and Francesca were full of tips and good advice, and the material on structure was directly relevant to my rewrite. Julie and Rowan make a good double act and – along with the lovely course participants – accepted me as an honorary woman for the week. I wrote some new material about a woman obsessed with winning, did research for a story about claustrophobia, and picked up lots of good advice. 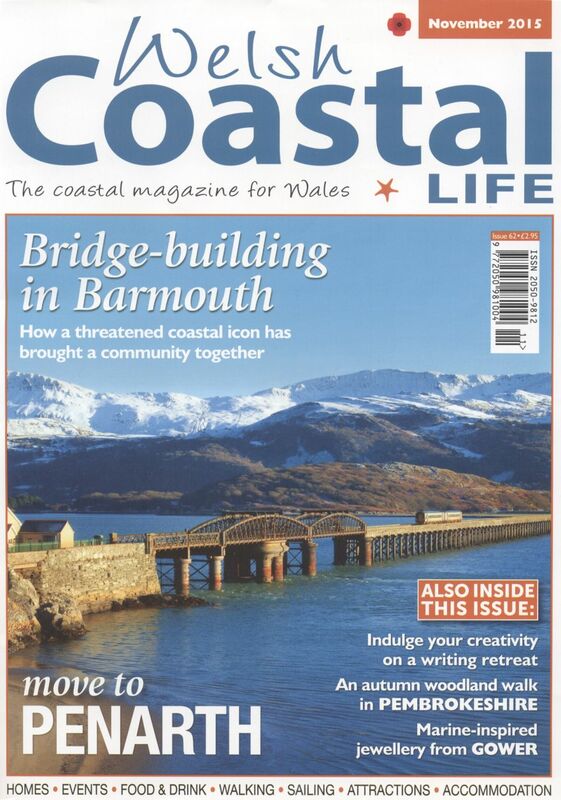 4: What would you say to any of our readers to encourage them to go on a course at Ty Newydd? I have so many lasting memories. The friendliness of the staff, the tutors, and the other course participants. The good humour of everyone – in fact, on a few occasions, I was laughing so much it hurt. (Laughing with, not laughing at). Going for a morning run along the river, getting my thoughts in order for the day ahead. Really enjoying the mealtimes (as a vegan I’d worried about the food situation before my first course – it turned out to be a totally unfounded fear). If you’re thinking of going on any creative course, the key thing is to identify where you are and what you hope to get out of it. Are you new to writing, and want to gain confidence, or learn the basics? Have you got a specific project you want to work on? Is there an area of weakness in your work that you want to strengthen? You can contact the tutors in advance if you have any questions, they’ll be happy to help. Everyone wants you to be on the course that’s best for you. Having said that, I have yet to go on any writing course, Ty Newydd or elsewhere, that hasn’t had a broad range of ability within the group; and I’ve always seen improvement in my fellow writers. So everyone stands to gain, whether they treat the course as a “me-time” holiday, or as serious writing CPD. 5: Anything else to add? Prepare. Bring creative work or ideas with you, things that you want to write or edit in time outside of the classes. Also note anything that’s asked of you before coming, or between sessions, or for a tutorial. Then you’ll make best use of the time. Contribute to, but don’t hog, discussion. Be critically supportive. There’s no point saying flawed work is perfect; and no benefit from tearing into the work of others like a rabid dog. Learn how to start by identifying and praising good points, then suggesting ideas for improvement on the other areas. It’s a useful skill. Observe how the tutors do it and learn from them. If you like to be fit then take running shoes. Even if you don’t use them. There’s nothing worse than getting there, realising there are nice places to explore, but not having the gear. Remember: you’ll be sat on your bottom nearly all day, so get out in the fresh air when you can. Attend the course expecting everyone to be your friend. By the end of the course they will be.